The Apple Watch has Siri, vibrating notifications and can even tell time. In the future, it might also be able to detect epileptic seizures. When someone with epilepsy has a seizure, the new EpiWatch app will use Apple Watch's sensors to measure its duration and severity. Right now, the basic app gathers information and provides educational materials, but the researchers at Johns Hopkins University who made the app have bigger plans. "We think in about a year we'll have enough data collected where we'll be able to form a seizure detector," said Dr. Gregory Krauss, who led the team. EpiWatch is one of three new ResearchKit apps released this week and the first for the Apple Watch. All are exploring whether the iPhone and Apple Watch can be used as medical diagnostic devices. Launched six months ago with just a handful of apps, ResearchKit is an open-source tool for creating app-based medical studies. It includes a number of key features, like electronic consent, in-app questionnaires and HIPPA compliance. For researchers, the biggest draw is access to Apple's (AAPL) giant pool of users. "Typically, you'd be lucky to study a couple hundred patients," said Krauss. He hopes to get thousands of people with epilepsy to use the free EpiWatch app and be part of the study. 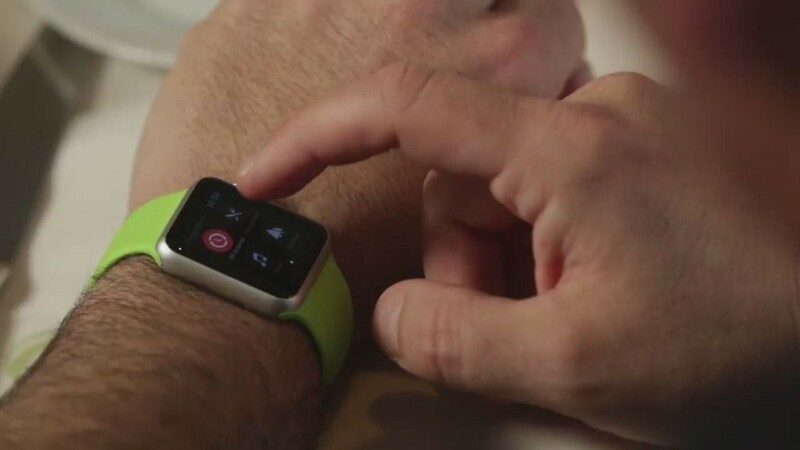 The watch's heart rate sensor can pick up one of the biggest signs of an oncoming seizure: a racing heart. The accelerometer can track convulsions, the gyroscope can tell if someone has collapsed, and the Watch can send a notification to a doctor or family member. The other two new ResearchKit studies are also laying the groundwork for future diagnostic apps. The Melanoma app uses photographs taken with the iPhone to track moles over time. Researchers at Oregon Health & Science University hope to eventually create an algorithm that can screen photos for signs of skin cancer. Researchers at Duke University think they might eventually be able to tell if a child is autistic or suffers from anxiety. The first step is their new Autism & Beyond app, which films children while they watch videos on the phone, logging their reactions. Eventually they hope to write software that detects specific emotions. Mobile medical study tools like ResearchKit are still very young. Universities and doctors still need to gather data, collaborate on standards and work through issues unique to a mobile-only study. Researchers should also be wary of making Apple-only apps, which can lead to a skewed demographic. "Not only can we not just say we're only going to recruit participants from half the population, we certainly can't say we're only going to recruit from the half that can afford the iPhone," said Deborah Estin, a Cornell professor and cofounder of Open mHealth, a digital health data nonprofit. Early issues aside, opening up studies to a broader audience has the potential to change medical research. "It is really helpful to be bringing research out into the community, making it more visible," said Wendy Nilsen, leader of the National Institutes of Health's working group on mobile health. "Participating in research should be like donating blood, it's a community service you do for the world."